Museum Meermanno is accessible to wheelchair users and other visitors who need to avoid stairs. A basic wheelchair which needs to be pushed can be reserved via +31 (0)70-3462700. The reading room is open by appointment only. In principle, it possible to consult all works in the collection in the reading room upon request. In a small number of cases (i.e. for extremely valuable or fragile works), we require a written request which will be evaluated by the curator. Because the collection is stored at another location, there is no guarantee that a desired item can be made available immediately. You are therefore requested to submit a list of the works you wish to consult to the library department at least a week in advance of your visit. 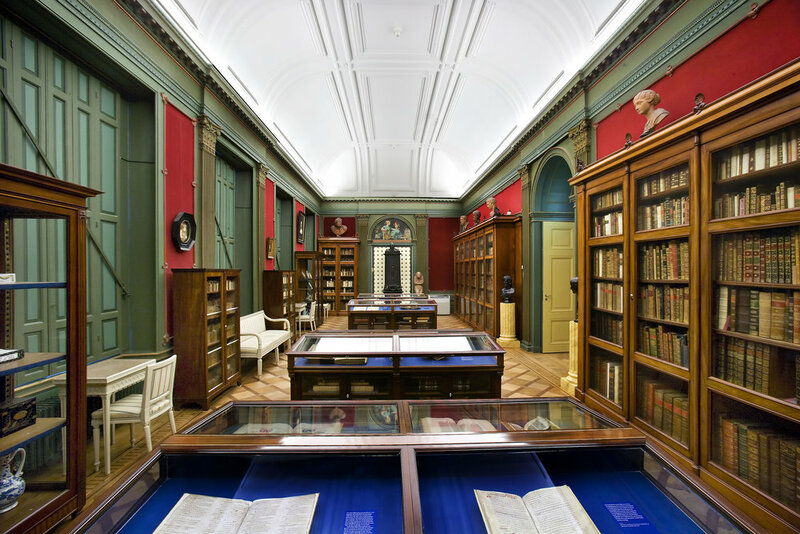 The reading room can be visited Tuesday through Friday, 11:00 - 12:30 and 13:00 – 16:45. To make an appointment and submit a list of the works you wish to consult, please contact us via +31 (0)70-3462700 or bibliotheek@meermanno.nl. Tuesday till Sunday from 11.00 till 17.00 hours. By car you can use the parking garage Malieveld, Koningskade 1b, which is across the street from the museum. In the museumcafé there is coffee and tea. Just a five minute walk away from the museum, you'll find several cafes and restaurants where you can enjoy lunch.